The swell rises slowly from the depths as it begins to feel the jagged, rocky seafloor. You notice a darkening in the distance against the red horizon as the wave jacks quickly up to 10, 20, then 30 feet. As you scratch outside the wave begins its slow cruise towards you, giving you plenty of time to turn around and paddle into the wave of your life. As you tuck into the giant, slow-moving tube you see a volcano erupting off in the distance and a meteorite streak across the sky. Welcome to the red planet! So, you might ask: can we surf on Mars? The answer to that question, unfortunately, is no. There is currently no ocean on the planet. The more interesting question is: could you have ever surfed on Mars, and more generally, can we surf on other planets? The answer to those questions is probably yes, but a better question is what kind of waves would we see? 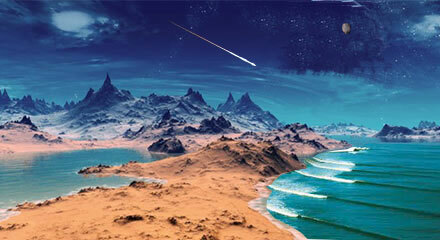 Scientific research over the last 15 years has shown quite convincingly that Mars at one time likely had an ocean. Although there is still some debate you would have to go back 3-4 billion years but at that time there was likely an ocean, Oceanus Borealis, that covered about a third of the planet; about the size of the Arctic Ocean (see NASA, 2015). It occupied most of the northern hemisphere of the planet and was an average of 450 feet deep, but a mile in some places. Recent research by Dr. John Banfield at Cornell and his colleagues (Banfield et al., 2015) demonstrated that wind blowing across the surface of that ocean almost certainly produced wind waves, although the atmosphere back then was mostly carbon dioxide. But what would the waves have looked like? According to Banfield (see Choir, 2015) they were likely large but moved significantly slower when compared to Earth. Since Mars has only 10% of the mass of the Earth its gravitational field is only one-third of Earth’s so it is easier to generate large ocean waves. However, gravity also acts to push waves along and determine their speed. Thus less gravity also means slower waves. Importantly, Mars also had much more of an atmosphere at that time so it was both significantly warmer than today and perhaps oxygen-rich (Astrobiology, 2013). Most likely all you would have needed is a good wetsuit, not a space suit, and perhaps an oxygen supply, something like a rebreather. Given the reduced gravity of Mars, maneuvering would be awesome and aerials would be incredibly easy and unbelievably high (check out John Carter on Mars to get an idea). 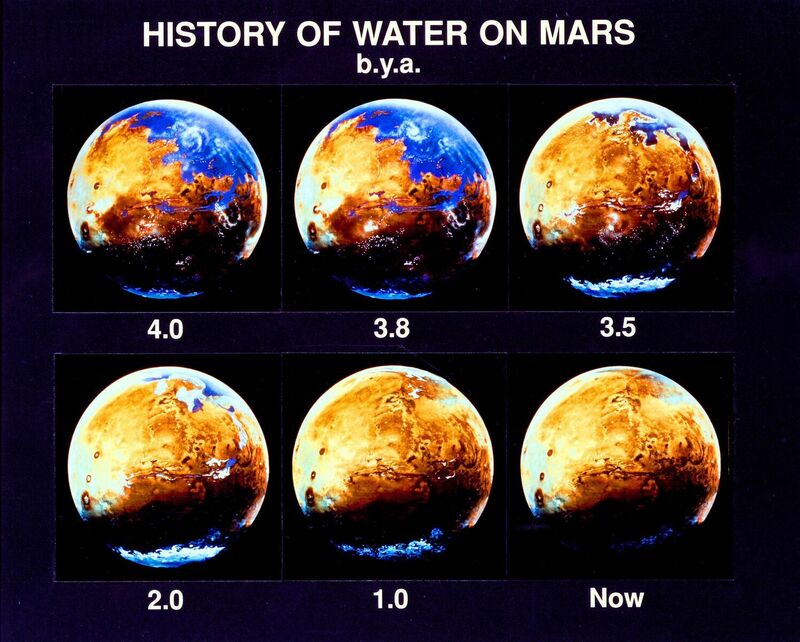 Changes in Mars’ Oceans over time. Source: Wikipedia. Another fact to ponder is that the planet was geologically young when there were oceans so you need to imagine a turbulent, more dynamic world, with lots of volcanism, flooding, and frequent bombardment by asteroids. This era in our solar system is known as the Late Heavy Bombardment period when a disproportionate number of asteroids collided with the inner terrestrial planets, including Mercury, Venus, Earth, and Mars. Estimates are that serious environmental damage on these planets would occur about every 100 years. Modeling of these impacts has estimated that tsunamis generated in the Martian ocean could have been as high as 400 feet and moving up to 35 miles/hr in coastal areas (Iijima et al., 2014). So if you were surfing on Mars it could get very interesting. Good news: there were no sharks and it is unlikely any life had evolved at that point (or maybe never did). The jury is still out on that one. So, since we can’t go back in time (at least not yet) the bigger question here is can we surf on other planets outside our solar system? It is doubtful any other planets or satellites within our own solar system have significant surface liquid water other than what Mars had in the past; water below the surface such as on Europa would hardly be useful to a surfer as it’under 5-10 miles of ice. If we limit our question to Earth-like planets, which at the last estimate there were one billion in our galaxy alone, with a similar atmosphere and ocean the main factors to consider are gravity, wind speed and of course, fetch (the distance over which the wind blows to generate waves). Planets smaller than Earth will have lower gravitational forces and thus be able to form bigger waves that move slower than on larger planets. However, larger planets likely have bigger oceans, higher winds and longer fetches so are may produce large, fast waves as well. In other words, there will likely be quite a range of wave conditions on other planets that could provide rideable, and perhaps epic, surf. Additional factors, such as climate, the effects of tides (which include both solar and lunar effects), depth of the ocean basins, and the shape of the shoreline are likely to be equally important. Another thing to consider will be the age of the planet and the stage of evolution of life on the planet. Sharks may be tame in comparisons to other possible ocean creatures out there (imagine being on Earth 10 million years ago when we had Megalodon, for example). 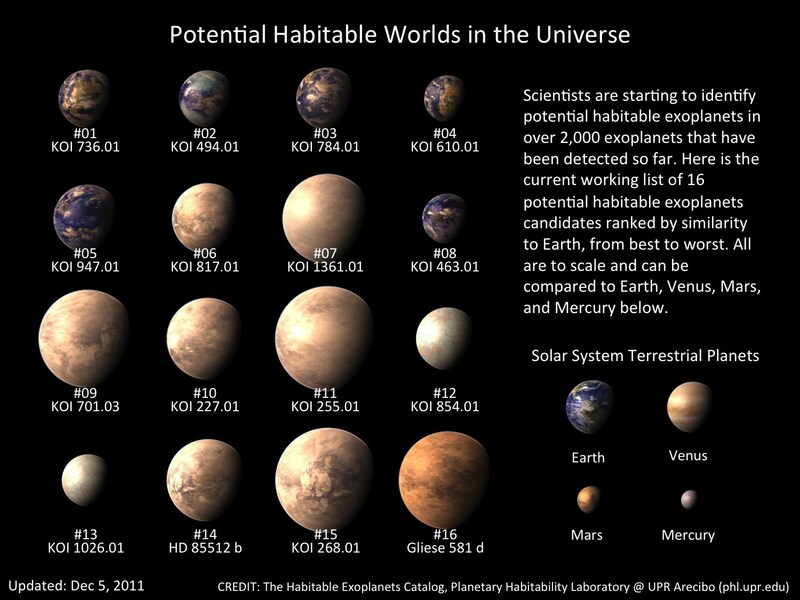 The cool thing is that we will likely be able to visit planets such as these in the not to distance future. At that point, surfing will take on a whole new meaning. Dare I say Space Surfing? Recently discovered Earth-Like planets, some with oceans. Banfield, D., M. Donelan and L. Cavleri. 2015. Winds, waves and shorelines from ancient martian seas. Icarus: 368-383. Choi, C. Q. 2015. Ancient Mars May Have Had Slow-moving Monster Waves. Space.com Retrieved Dec. 9, 2015. Nasa, 2015. 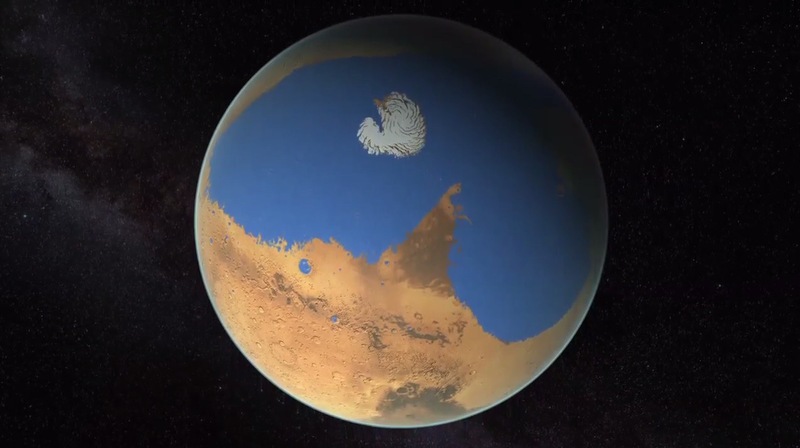 NASA Research Suggests Mars Once Had More Water Than Earth’s Arctic Ocean. Nasa.gov Retrieved Dec. 13, 2015. This was quite fascinating. I have never surfed before, so my frame of reference is limited. One thing that occurred to me was what differences the lack of a large moon would have made.